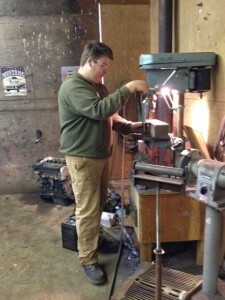 Benefits of the Youth Work in Trades program for students. Secondary students registered as apprentices while completing high school graduation requirements earn high school graduation credits for hours worked. 120 hours of paid work experience earns secondary school apprentices four credits towards graduation. Secondary school apprentices can earn up to 16 credits (for 480 hours of work experience) towards graduation. Upon graduation, YWT students that have 16 YWT credits and have maintained a C+ average in their grade 12 courses, receive $1000 through the YWT scholarship program. 2) technical education reported by the College to the Industry Training Authority. Then the apprentice will complete a final examination. Upon successful completion the apprentice will be issued a “Certificate of Qualification” also known as the “Journeyman Certificate”. This process can vary by trade depending on the requirements for an individual trade. For more information on the requirements for a specific trade check out www.itabc.ca.